It was a tiny fire. Despite my husband’s exaggerated claims as to the height of the flames, the actual size was far less important than the act of our building it. Its smallness was even symbolic, representative of those small moments we spend with our children that have an impact disproportionate to the few minutes or sparse words through which we pass along love and knowledge. Like how to play with fire. 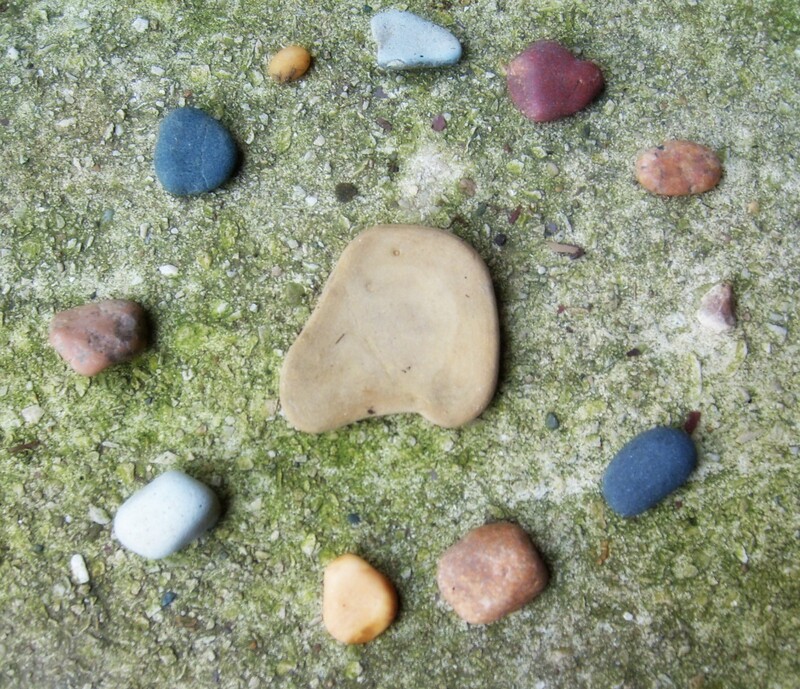 The rite began with a circle of small stones that had been collected over the summer along the gritty shores of Lake Michigan. 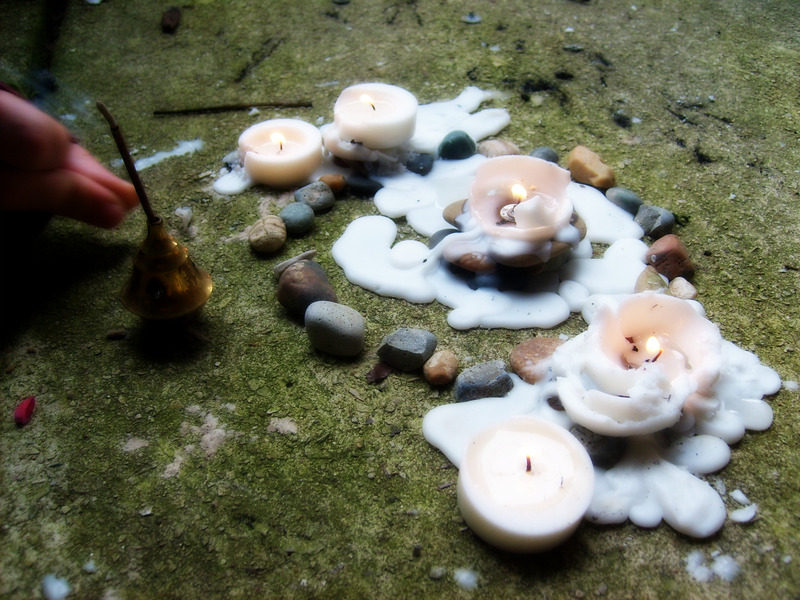 My daughter and I knelt on the concrete patio as we arranged each one, silently agreeing on the sacredness. 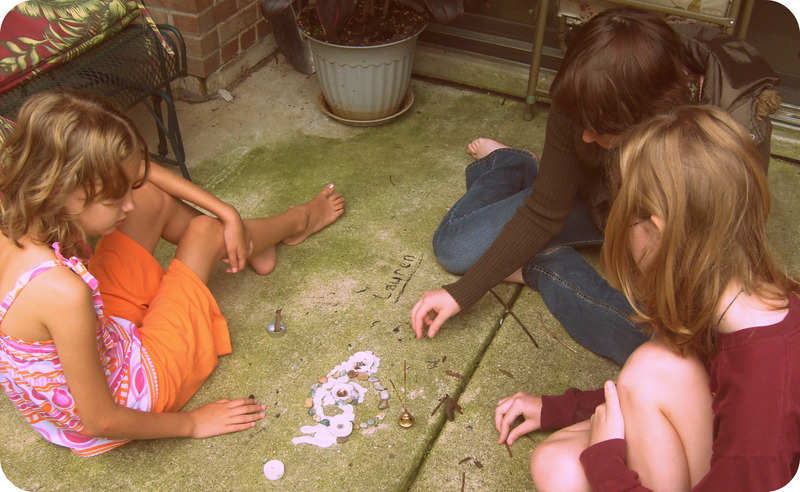 My stepdaughters added a few tea lights, then my daughter a few sticks of incense, the smoke rising ceremoniously from the middle of our growing circle of female family members. Pieces of mulch from the flower bed made adequate writing utensils when charred at the end. Names and initials etched in black on the concrete slab, testifying: I am here at this moment. ‘Lauren’ in quiet block letters, ‘RE’ because it’s easier, and ‘MC Diddle’ in an insistent declaration that you can be anybody you want to be. Then as if driven by some primal urge, we begin to stack those mulch fragments into a tiny bonfire formation. Should I take this small moment to reinforce the lesson to NOT play with fire? I slide one of the tea lights beneath the twig teepee and watch the flame rise and catch. The girls whoop their approval at my decision to lead the tribe rather than to manage the children. My husband sits nearby in the lawn chair, his expression trying to find a balance between amusement and newly realized doubt over my parenting skills. It would not help them survive in the wilderness. But the act of making it placed each of us like a different colored stone in a circle. And in the center, joy blazed. You sure write good, Amanda.